Order now only USD680 (exclude shipping cost) ! The NFB-28 had one group analogy RCA and one group analogy XLR inputs ,can connect external DACs , working as a decent headphone amp .There are a lot different DACs in worth, they had different design and output impedance . For avoid the sound quality effect by different DAC's output impedance, in the NFB-28, it had design 4 groups expensive class A FET buffers in the input . All the analogy input signals through these FET buffers, the output impedance had become very low, even the source had high or low output impedance. The FET buffers working on pure class A state, and it is so short signal journey , it can keep the sound quality without coloration ,dry and harsh . The NFB-28 applies the newest ESS high-end Sabre32 DA chip ES9018 which can support up to 32Bit/384KHz input . ES9018 in voltage output model , there is -12DB THD+N worst , to be achieve the best performance of ES9018 , must work in current output model . In some other ES9018 built in DAC design , ES9018 output signal have to through 3 step OPAs implement analogy signal process . The NFB-28 had different design , applies Non-feedback ACSS design. 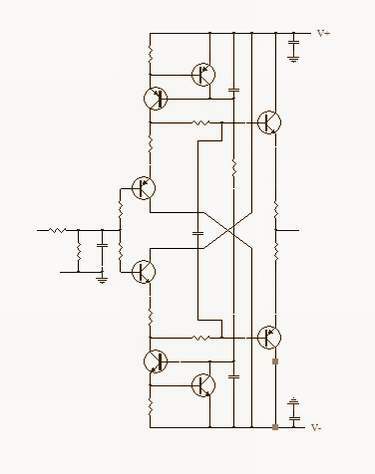 The ES9018 feed to the ACSS circuit by balanced model without any OPAs . The ACSS circuit naturally working in current model and have design difference current input , it can transfer the ES9018 current signal to output and implement the I/V conversion in current model in one ACSS amp . And this ACSS amp only have one current gain stage , the ES9018 output signal only through one stage can arrive the output stages . The shortest signal journey can reproduce the best detail and dynamic, and almost without sound coloration , It can show the real performance of the ES9018 . So our ACSS design is the best combo with ES9018 achieve the best performance . Upside in the picture is the standard ES9018 headphone amp design. The bottom is the NFB-28 design . The 32bit / 384K USB interface outputs a I2S signal to ES9018 . The NFB-28 had design 4 groups diamond difference output stages as the balance output drive stages, every parts had exact matching before assemble so don't need any human adjustment . The output stages had built in 4 pair 15W transistors for offer strong drive ability , the balance output mode had 4X times power than the same state single-ended mode, so no matter drive the high and low sensitivity headphones . The diamond different design can avoid switch distortion , it working as the class A but don't want large idle current . The balance drive mode can kill the noise and distortion in the end of the headphone, much improve the sound stage, background and the transparency ,ect. NFB-28 applies the excellent DA chip ES9018 and excellent analog output stages, but these are not the only keys of the best sound. The power supply is most important. Even applying the best DA chip and the best amp, if matched to a average power supply, the total sound may still be average or sound musical but can't be neutral and detailed. That is why it is easy to find hi-end grade gears maybe without the best chips , but with plenteous dedicated DC supply circuits. The NFB-28 uses A total of 6 groups PSU power supply for all digital and analog circuits. Method 1: The volume control is implemented into the digital stage. 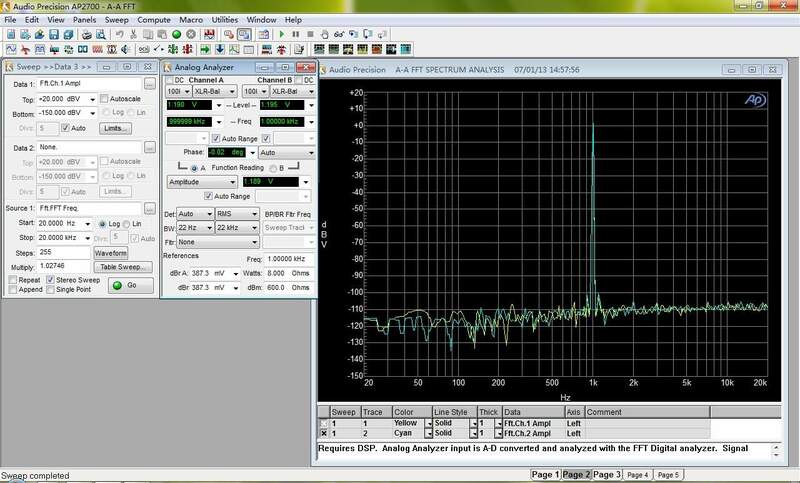 The major drawback is that 1 bit of the D/A conversion is lost in every 6DB volume reduction. So, even though the built-in DA chip is 32 bit, in fact, only 16 bit may be left at low volume level. 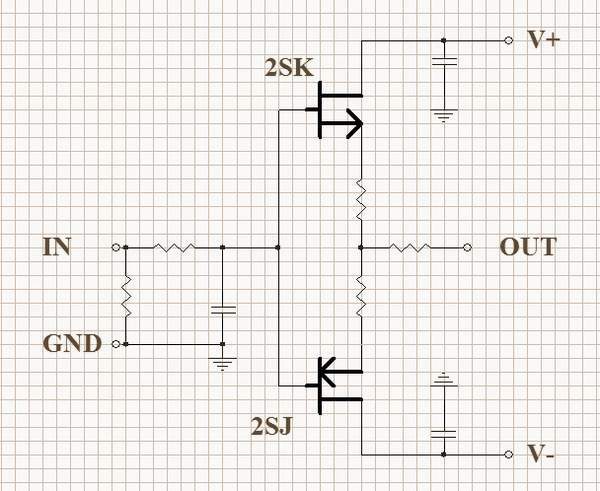 So, NFB-28 applies the I/V conversion volume control, the volume control is just a variable passive I/V conversion being placed at the ACSS amplifier output, where the output is current signal but not voltage signal. 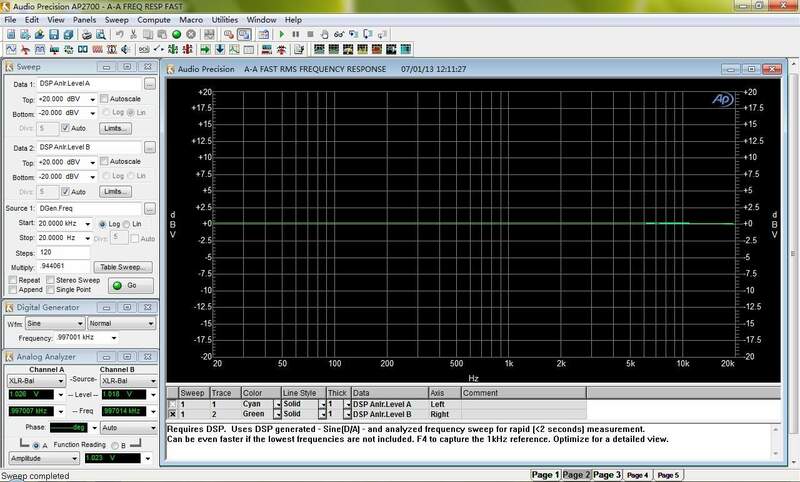 I/V conversion is to change the volume level from the current (I) signal to the voltage (V) signal. (Like R-2R D/A chips output passive I/V conversion) It can keep the signal frequency band flat while not losing any detail. It does not degrade the sound quality in every volume level. In front of the volume control, there are four groups of diamond non-feedback buffer output stages that offer very low output impedance. Mark Levinson also knows that current volume control has great benefits, so in the volume control of his top grade hi-end preamplifier No.32, he uses many components to change the voltage (V) signal to current signal (I), then through the R-2R network to control the volume, and finally changes back to voltage signal (V) again. NFB-28 simply works in current (I) signal domain, and technically, it is superior to the conventional technology due to less conversion. The volume control quality is much more important in a real balanced gear. It must guarantee the signals of the four channels are exactly the same to bring out the benefits of a real balanced gear. If the cold signal and hot signal of a balanced gear are not exactly the same, the balanced output will has a large distortion causing the sound quality and performance even much worse than a single end gear. This is a waste of a balanced design and the additional cost. NFB-28 applies digitally controlled relay-based volume control in 160 steps. It has 80 steps in both high gain and low gain mode to allow users to control the volume level smoothly. NFB-28 has two relay-based volume control boards (totally four channels) through changing the DALE resistors to control the volume to avoid channel imbalance, achieving the best performance and sound quality of the gear. While users change the volume, the different relays break or close, it may had slightly switch sound on output and disappear while stop change the volume. The NFB-28 had built in the shield boards, to separate the transformer for avoid the different parts had disturb . Even though the power input IEC socket, it had hide in a copper shield box . Uses all Hi-end grade components, including DALE resistors, WIMA caps, custom order NOVER (UK brand) caps, Neutrik headphone output socket, ect .